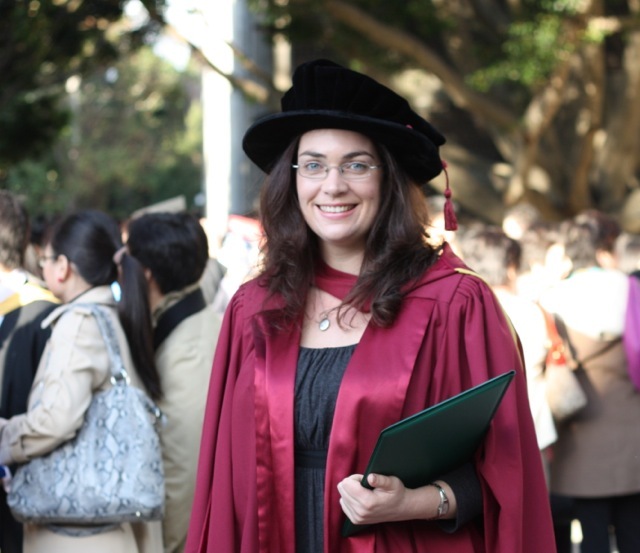 I completed my undergraduate (BA Hons) and postgraduate (PhD) degrees in the Department of Linguistics at Macquarie University. My research focuses on the relationship between language (grammar, semantics) and context, in the systemic functional tradition (if that means anything to you!). I’ve taught linguistics and academic communication at Macquarie, University of Wollongong, University of New South Wales, and Western Sydney University. Since February 2016 I’ve been working in a curriculum development/student support role at Western Sydney University, focusing on embedding scaffolded academic literacy development into the curriculum in the School of Education and the School of Social Sciences and Psychology. In 2009 I met my husband, Erik, at a meeting of the Lighthouse Forum at Macquarie Uni when Lewis came to talk about the Simeon Network! Since we married in 2012, we’ve enjoyed travelling the world wherever the Lord takes us, including 4 months in Uganda and 18 months in Florence, Italy.